Water Distiller Residue Cleaning Powder. 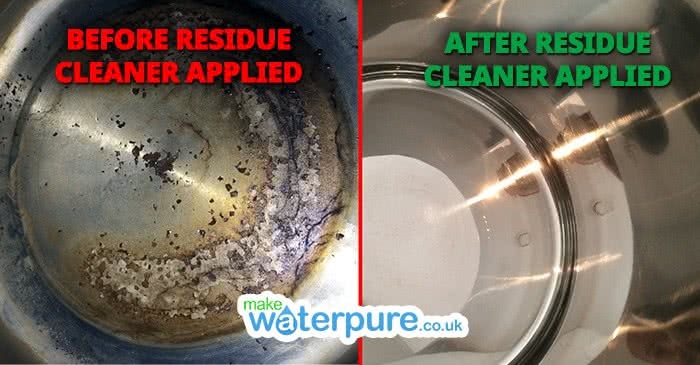 Use the water distiller residue cleaner powder to remove stubborn residue remaining in the Water Distiller boiling chamber. The water distiller cleaning crystals are made mainly of citric acid monohydrate which is found in all plants, especially in limes and lemons. How often should you clean your water distiller? The answer depends largely on how often you use your distiller. Typically, most people find they clean their water distiller with the cleaning powder every 1-4 weeks. You should clean your water distiller when you notice a build up of left behind contaminants which will usually start to form after 1 week if you are using it once per day.